to later Muromachi period and said that the lineage of Nagamitsu. Blade length :　69.0　cm or 27.16 inches. Width at the hamachi : 2.92 cm or 1.14 inches. 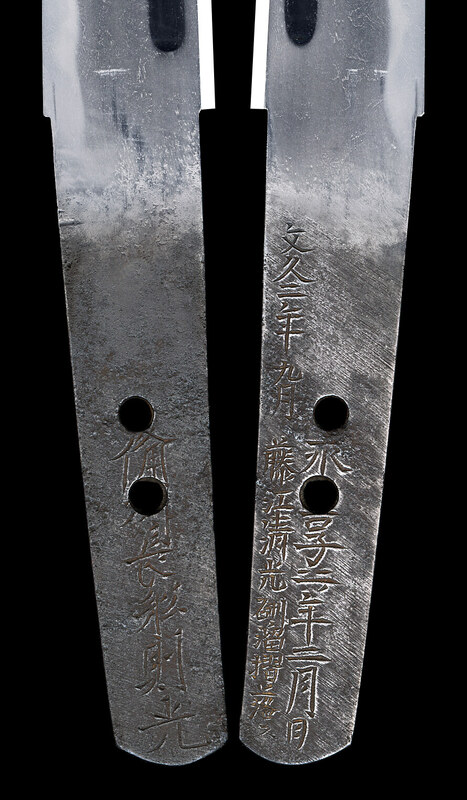 Width at the Kissaki : 2.04 cm or 0.80 inches. Shape : Regular width and thickness Katana.